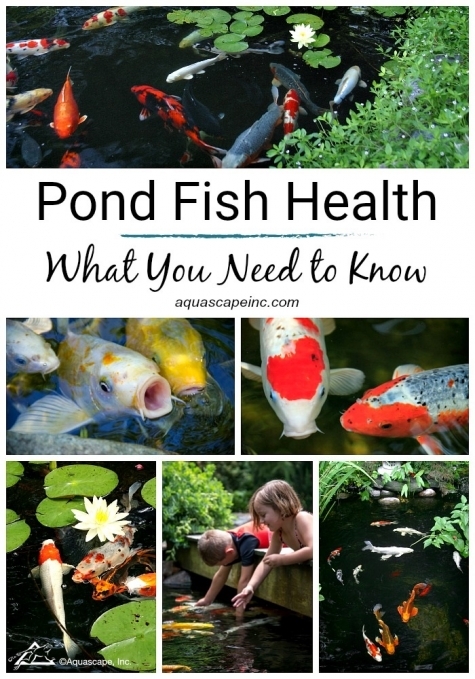 Pond Fish Health: What You Need to Know - Aquascape, Inc.
Pond season is finally here for most of the country! Watching your fish swim happily about is a sight for sore eyes after a long winter. But do you have a pond that promotes the health of your fish? 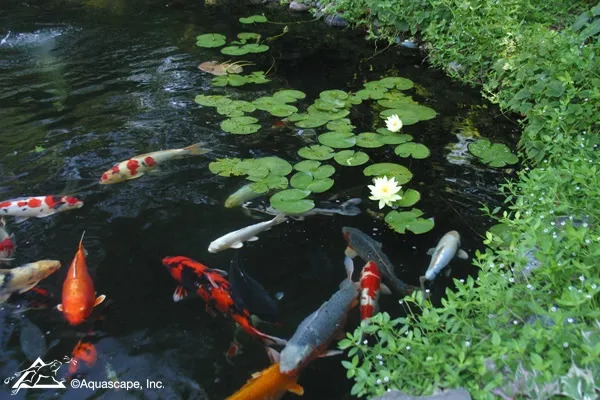 Several factors influence whether a pond is habitable by fish, so before your stock your new pond or choose a few new finned friends at your water gardening store, take a few minutes to assess your fish’s dwelling space as it relates to pond fish health. It all starts with the size of your pond. You need to make sure that it is large enough to support fish and their growth. Pond fish generally need 10 gallons of water for every inch of their length, and you have to be ready for them to grow larger, so be careful not to overstock, no matter how tempting this may be! Some pond experts go so far as to recommend only ½ inch of fish per 10 gallons of water as a maximum stocking density. On occasion, you may encounter ponds crowded with two or even three inches of fish per 10 gallons of water and the fish seem to be fine. However, the density and ecological strain of this loading turn these ponds into fragile systems. The pH tends to sag, the fish tend to grow more slowly, and disease can become a common occurrence. You won’t be able to salvage sick fish in a pond that’s overcrowded. Eventually, Mother Nature will pick off your favorite fish to achieve her ideal stocking density based on the system the fish are in, and then the remainder will recover as if by magical intervention. So reduce the number of fish if your pond is over-stocked before Mother Nature handles this crucial step for you. Ponds that have some sunlight are also beneficial to fish due to the valuable vitamins that are produced. Sunlight also helps the plants in your pond grow, thereby reducing nitrates in the water. Unfortunately, you can’t just up and move your pond so if you have a shaded pond, simply add shade-loving plants to help balance the water. Aquatic plants play a critical role when it comes to enhancing pond fish health. When it comes to pond depth, koi aren’t very picky. Just be sure that the pond is deep enough (generally about 2 to 2 ½ feet) to give the fish a chance to get out of the way of predators. This depth also provides ample space for over-wintering fish in northern climes. The quality of your water is critical to pond fish health and you want to make sure your water garden is balanced. The proper mix of fish, plants, filtration, circulation, and rocks and gravel all provide an important role in your pond’s ecosystem. Work with Mother Nature, not against her, and you’ll find you spend more time enjoying your pond and less time maintaining it. Consider adding the Aquascape Automatic Dosing System to keep your pond water balanced and your fish healthy throughout the season.